The running marketing machine stomps along as loudly and as furiously as any other. New shoe styles, go-faster socks… disposable incomes are there to be gobbled up by the big brands. But do they always deliver? It occurred to me after a fiasco with running top that rubbed skin from my neck that personal recommendation is the strongest marketing message, because it carries something rare – truth. So I thought I’d start a page for all my running toys, gadgets and passions that I will fork out hard-earned cash for and – ‘guides honour’ – no one is paying me to say they are good, or mediocre or bobbins. 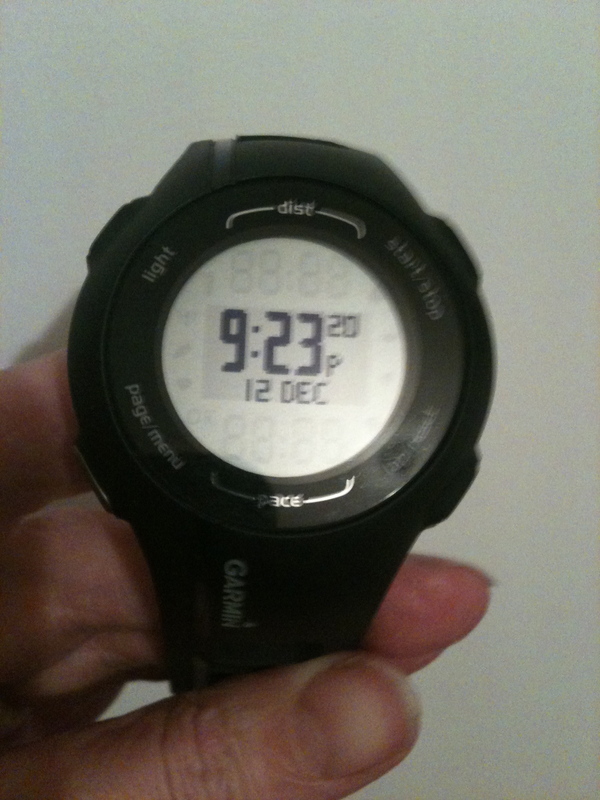 I got a Garmin for Christmas and I love it. I’ll love it even more when I’ve worked out everything it can do. Umm, yes. Slightly obsessed with coffee. Love this brand particularly – just a little bit more yum than the others. Smoother, more intense. I am addicted to coffee but, hey, my drug of choice is legal. I can buy it in Waitrose. Ha, ha, ha. Lucky me! I’ve heard some personal trainers call coffee a poison. Yeah, right, because it is just like crack cocaine. You hear about people selling their children to buy a cup of java all the time. 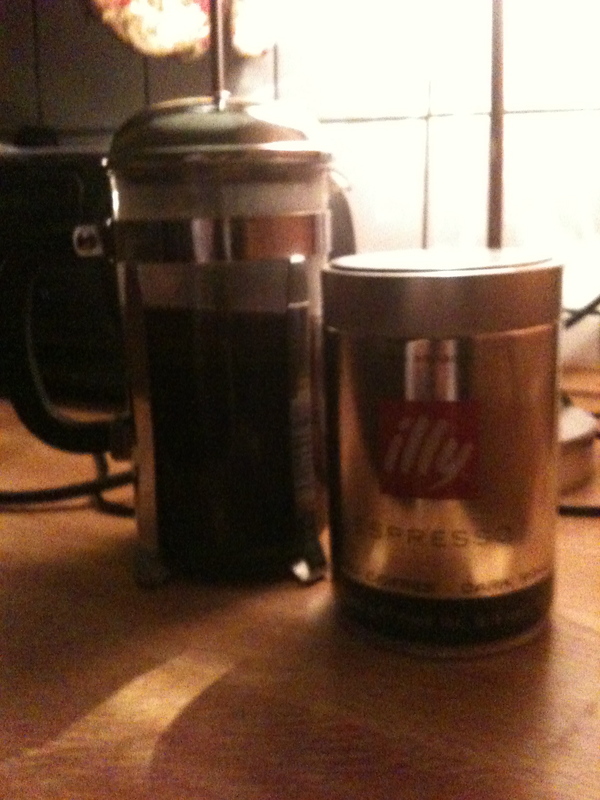 If my purse is empty I will consider prostituting the cat to buy espresso blend illy. I have given it up, I did have two days of headaches but I didn’t require the Priory’s support. Apologies to Shakespeare, but who doesn’t love a tune when they’re chugging through the miles. If you’re on your own there’s just so much day planning you can do. 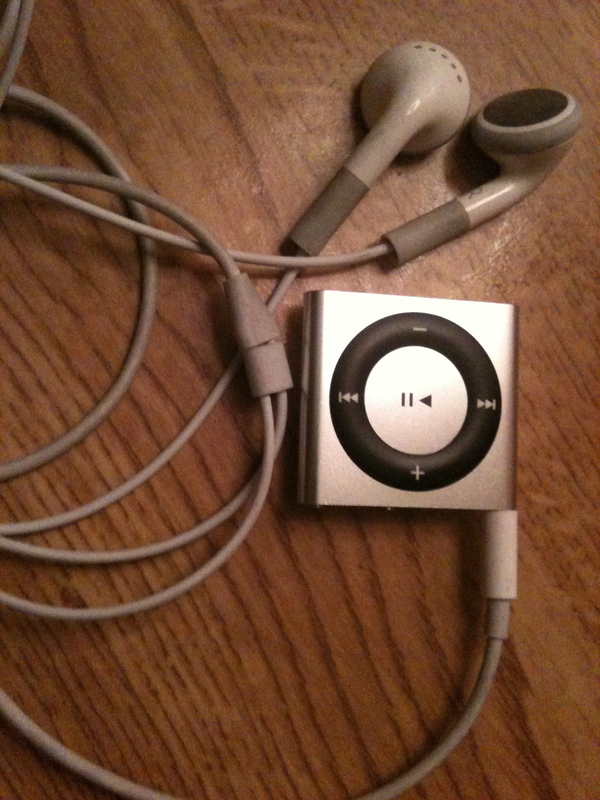 This is my shuffle. I love how you can just clip it to yourself and can skip through tracks easily if you don’t fancy a tune. At the moment I have a couple of those running tunes CDs on it. I don’t wear it in the dark, but on a long day run it’s a lot of fun. 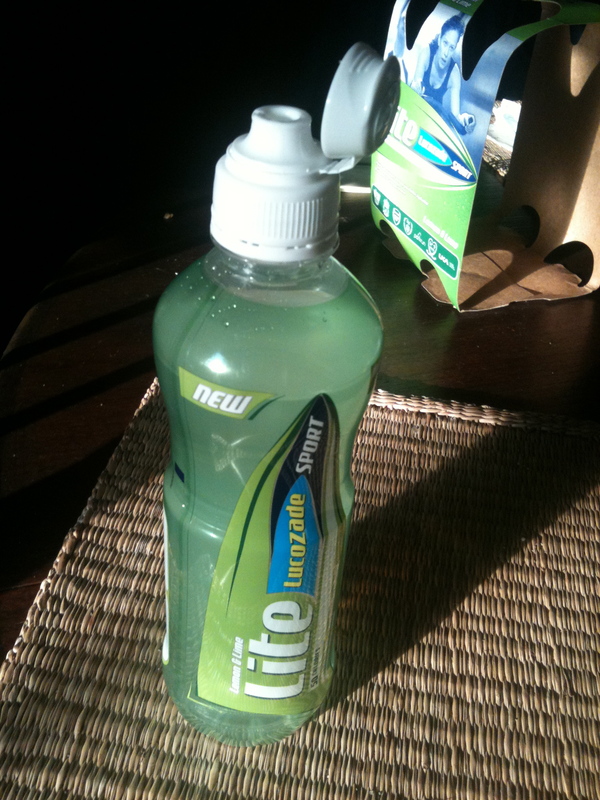 A friend of mine who runs a sport centre recommended I try this stuff, lite lucozade sports drink, as I find running with any food in my stomach tricky/vomity/messy/very scary for passers-by. A bottle of this before I set off in the morning is enough to keep me going for four miles easily and it doesn’t make me queasy. My friend recommended I have another when I get in as it’s a great hydration drink and you don’t get that woozy tired feeling that can hit you sometimes. It was voted best nutritional product in the Runners World 2010 Personal Best Awards so I’m not alone in singing its praises. Does the job, end of. Any recommendations, comments and suggestions very welcome. For me it’s my running shoes and my ipod!! With music I can run effortlessly much longer. And my pedometer(but I don’t have that with me at the moment).